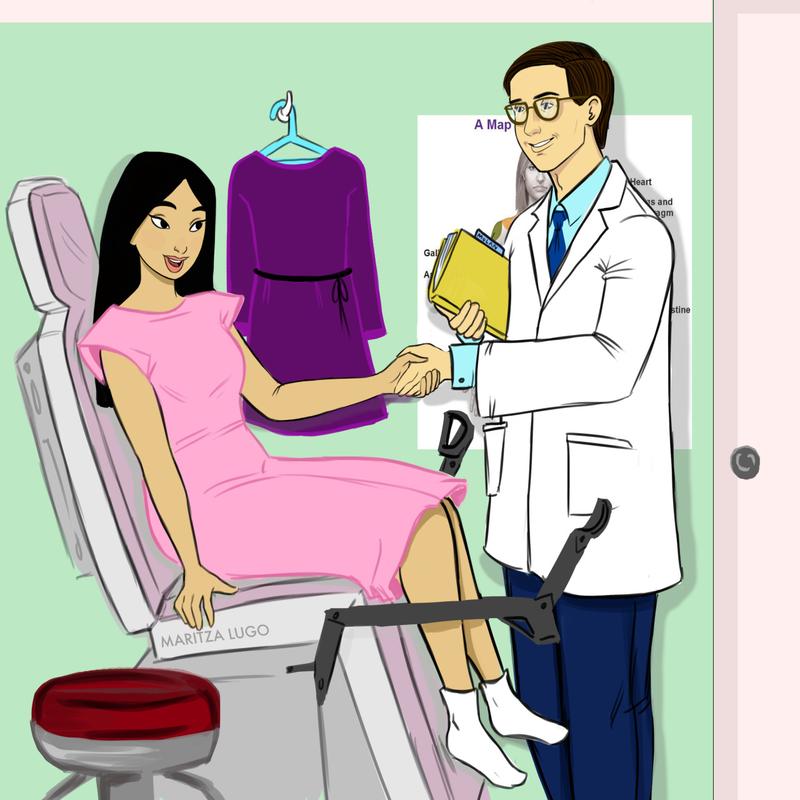 You might not expect to find Cinderella, Belle or other Disney princesses at your gynecologist, but don’t be surprised if they’re waiting for you on your next visit. The princesses are getting their HPV shots to prevent cervical cancer and consulting their physicians about family planning, all as part of a new campaign to raise awareness of cervical cancer. Writer Danielle Sepulveres and artist/illustrator Maritza Lugo teamed up to create the striking posters featuring the Disney princesses for Cervical Cancer Awareness Week. Sepulveres turned to the princesses out of frustration when publications kept turning down her pitches for pieces on cervical cancer awareness. She realized that her cause needed a hook everyone would pay attention to and knew that everyone loves a Disney princess. Cervical cancer remains a major concern in the United States, where 12,900 new cases were diagnosed in 2015 alone. With 4,100 women dying of cervical cancer in the last year, Sepulveres knew her cause was worth drawing attention to. In choosing the Disney princesses as the ambassadors for Cervical Cancer Awareness Week, Sepulveres wanted to help reduce the stigma that some women feel regarding HPV or cervical cancer. Although the HPV vaccine is readily available, rates of its use are still low. In 2014, only 60 percent of age-appropriate girls received one dose and only 40 percent received all three recommended doses. 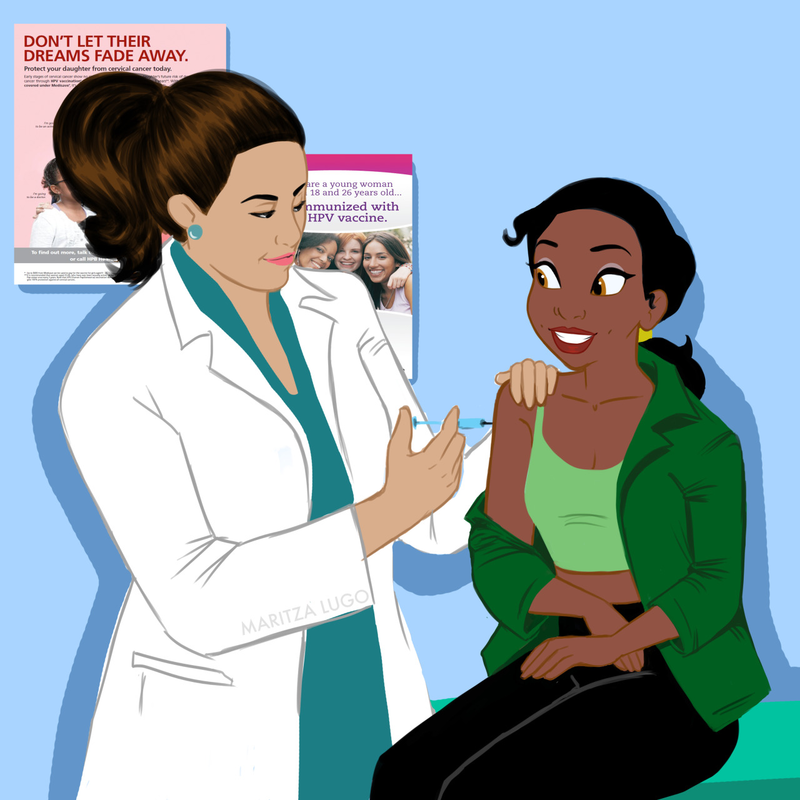 Sepulveres hopes that images like that of Tiana getting her HPV shot or Mulan meeting with her gynecologist might make a big difference by encouraging these girls to get their vaccinations. Click here to make a donation that can help protect girls against cervical cancer. And check out all of Maritza Lugo’s artwork for this project below!